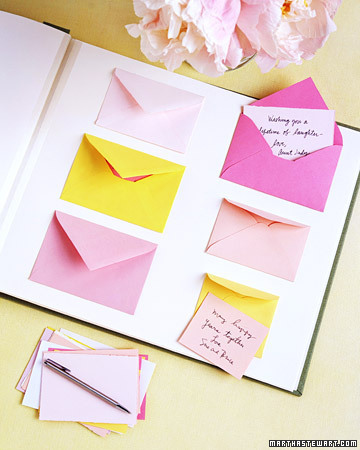 I love these unique ideas for guestbooks. Wouldn't they be fun to sign if you were a guest? I say yes. Both of those are great ideas. 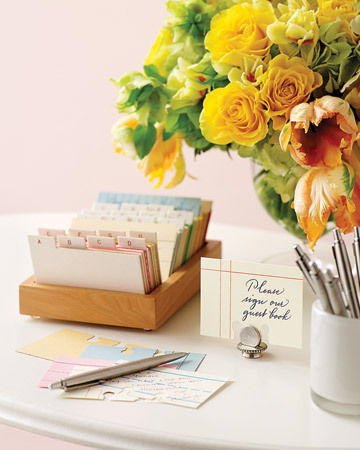 I really like the address cards, that way you already have addresses for thank you cards and you can keep in touch. I LOVE both of these!! Especially the pseudo rolodex!! LOVE both of these ideas. so great. LOVE the library card idea!